The MobyMax math system, which includes math, numbers, and fact fluency, finds and fixes missing essential math skills. 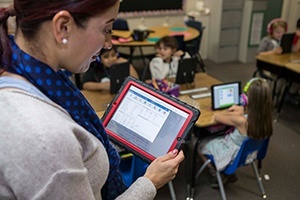 The curriculum is accessible from any device with an internet connection, helping educators combine face-to-face instruction with online learning. This is a key reason why the MobyMax differentiated learning model enables students to learn twice as fast. The Moby approach to early reading is aligned with the Common Core standards and includes early reading, phonics, vocabulary and writing. The systems makes it easy for teachers to monitor students and measure progress using Common Core standards. A large-scale research study conducted in early 2018 of 4,000 students in 230 U.S. classrooms showed that using MobyMax Math for as little as 20 minutes per day enables students to advance as much as one full school year. In fact, students using MobyMax Math showed a 53% improvement over students in the control group who did not use MobyMax. The MobyMax Numbers module employs interactive manipulatives to deepen student understanding of numbers and base ten using block numbers, number lines, ten frames, and more. Numbers starts off simply and progresses gradually, teaching students to add and subtract large numbers without using a pencil. In MobyMax Math, students begin with a placement test to find missing skills. Then, MobyMax automatically assigns lessons based on skill levels. As soon as they understand a topic, students move on. If more practice is needed, additional problems are assigned to bring students up to speed. Moby Math uses a variety of technology-enhanced, interactive manipulatives that address key mathematical concepts like place value, operations, and geometry. Fact Fluency uses a quick and accurate diagnostic along with adaptive practice sets to help students master addition, subtraction, multiplication, and division. With MobyMax Fact Fluency, students learn their facts quickly and build fluency at record speed. Teachers love the real-time reporting that displays the whole class at a glance in addition to a detailed view of each student’s progress toward mastery. The MobyMax Reading system includes reading stories, foundational reading, reading skills literature, reading skills informational, early reading trio, vocabulary, spelling, phonics and spelling rules, alphabet letter and sounds, and sight words. MobyMax’s comprehensive ELA curriculum incorporates 16 different ELA modules, including language, vocabulary, spelling, reading skills, reading stories, alphabet, phonics, and more. The ELA modules include engaging fiction and nonfiction texts paired with interactive, technology-enhanced problem types. Each module targets key reading skills as it helps students interact with text in innovative and engaging ways. MobyMax also includes diagnostic, formative, and summative ELA assessments covering all Common Core and state standards, making it easy for teachers to efficiently monitor progress and adjust instruction. As a complement to the Moby Learning curriculum, Moby Assessments provides a suite of summative benchmark tests, formative skill checker tests, and adaptive diagnostic placement tests for both math and ELA. This makes it possible to easily pinpoint missing skills, measure performance of all standards, and monitor student progress. “MobyMax is the only education solution provider that does not hedge results with the old caveat that the program must be “implemented with fidelity” to see improved student outcomes,” notes co-founder Glynn Willett. To that end, MobyMax offers a one-of-a-kind guarantee that its products will work. The “Max School Guarantee” promises that schools will see a significant increase in student outcomes, guaranteeing that “at least 20 students in your school will increase half a grade level in math or language in the first 90 days following the school kickoff.” MobyMax also guarantees to find and fix at least 1,000 missing standards or skills over the course of one year. In addition to its 2018 EDDIE Awards, MobyMax received the CODiE award for Best Pre-K/Early Childhood Learning Solution in 2018, as well as the 2018 Tech Edvocate Award for Best Global EdTech Company. These are just a few of the 57 awards MobyMax has won in the last two years. For more information, visit http://www.mobymax.com. 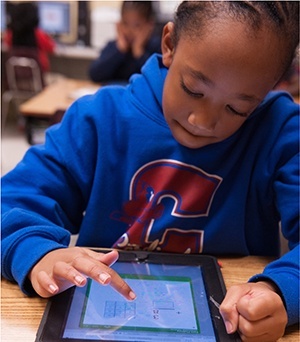 MobyMax helps struggling learners quickly catch up to grade level and closes learning gaps for all students. Moby Learning, Moby Assessments, Moby Interactive, and Moby Rewards are all award-winning solutions individually. When combined together in Moby Suite, they create the most effective solution to find and fix learning gaps. MobyMax is used in more than 82% of all K-8 schools in the United States, with over 28.7 million students and 1.5 million teachers registered. The ComputED Gazette is the sponsor of two national awards: The Best Educational Software Awards (BESSIES) in the spring, and the Education Software Review Awards (EDDIES) in the summer. Its directors are educators who provide computer education to children and adults in California. Eddie winners are selected from titles submitted by publishers worldwide. Selection criteria include academic content, potential for broad classroom use, technical merit, subject approach, and management system.